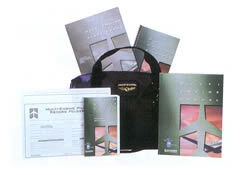 Jeppesen Multi-Engine Pilot Training Kits, developed for both FAR Part 61 and FAR Part 141 training programs, are the most complete multi-engine training kits available. Does expanding your aviation horizons by mastering more than one engine appeal to you? Let Jeppesen help you achieve your goal of a multi-engine rating. Jeppesen Multi-Engine Pilot Training Kits, developed for both FAR Part 61 and FAR Part 141 training programs, are the most complete multi-engine training packages available. Purchasing a training kit is an economical and convenient way to obtain current, comprehensive, and integrated materials that will make the journey to your multi-engine rating successful. This compact yet roomy Noral Mach One 1 Flight Bag is the newest in the product line. Made in the U.S.A.